Grotto recreates a romantic device in the Victorian garden. The grotto is an artificial structure or excavation made to resemble a cave. 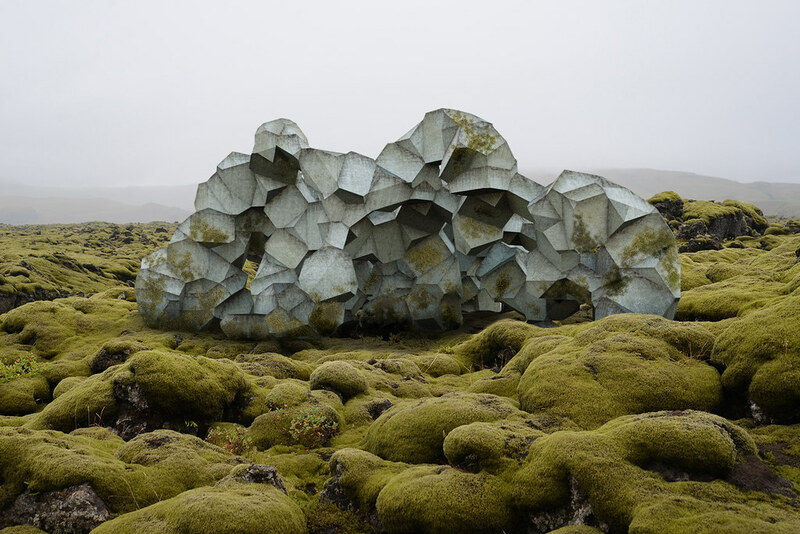 Since the structural unit of a grotto is the boulder, the challenge of this project was to develop a set of modular boulders that combine in a way that defies a conventional sense of order. The solution uses a combination of four expanded-polystyrene boulders that fit together using an underlying aperiodic logic. The result is a wildly ordered three-dimensional pattern that never repeats the same way twice. As was common with eighteenth-century English gardens, this proposal continues the grotto’s traditional feature inside; there is always a hidden fountain to discover within. As before, this foam grotto is an elaborately artificial yet intimate space.